ANN ARBOR, Mich. — The University of Michigan Program for Neurology Research & Discovery (PNR&D) has received a $1.5 million grant from the Centers for Disease Control and Prevention (CDC), as announced by Eva Feldman, M.D., Ph.D., director of the PNR&D on Tuesday (November 20). The three-year grant supports research into environmental risk factors for amyotrophic lateral sclerosis (ALS), commonly referred to as Lou Gehrig’s Disease. “This is a scientific extension of work that allows us to further understand the mechanistic role that pollutants or toxins have on the development and progression of ALS,” said Stephen Goutman, M.D., M.S., associate professor of neurology, and a co-investigator on the grant. The grant supports Drs. Feldman and Goutman’s continuation of a 2016 CDC-funded study exploring links between environmental toxins, like persistent organic pollutants (POPs), and ALS risk. POPs are toxic classes of chemicals that have been used as pesticides, flame retardants, and coolants that survive in the environment despite banning. Their previous study, Association of environmental toxins with amyotrophic lateral sclerosis (JAMA Neurology; July 1, 2016), suggested an association between higher concentrations of organochlorine pesticides and the risk of having ALS. While the exact cause of ALS is currently undefined, recent evidence suggests the importance of genetic susceptibility and environmental risk factors. 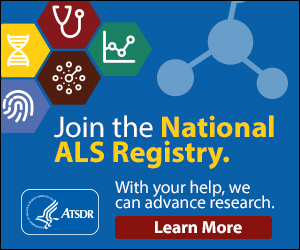 Upcoming research will explore the lifetime of environmental exposures that contribute to an individual’s risk for ALS. Advanced analyses of metabolomics – how small molecules in cells interact within a biological system – will offer insight into the role of residential and occupational exposures in disease onset. Although studies to date have focused on the state of Michigan, PNR&D recognizes the importance of its data on all ALS community members. Accomplished by understanding specific environmental risk factors, measuring pollutants in biosamples of participants, and environmentally-induced genetic changes, results are expected to improve medical understanding of ALS. Data will enable future studies into gene-environment interactions, and ultimately assist in ALS prevention.